I would always recommend Overboard to my friends. Great design. Waterproof. Could deeper to allow a small purse to fit. beach use, easy to carry the necessities phone and money... don't leave things whilst going into sea. travel light. I bought this to allow me to go into the water with the family without living keys or money on the beach alone. This was a great product, easy to use, kept everything totally dry. Enough space to keep a small bunch of keys and some notes in with ease. This waterproof belt pack is smaller than I imagined but well made and is indeed waterproof. Wanted something to put money in for swimming ashore on sailing holidays and it does the job fine. 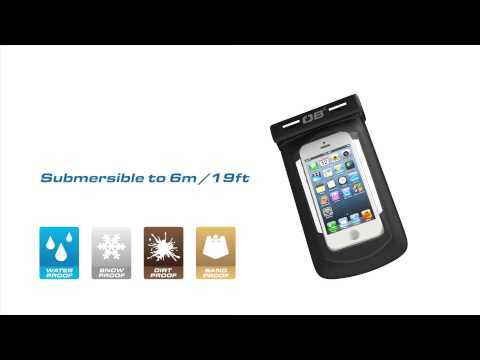 For keeping essential personal items safe and dry - phone, money, credit cards and car keys - in work and on holidays. I bought this product for protecting my keys, money and phone whilst swimming on holiday after recently having had some possessions stolen whilst unattended. I have not had the opportunity to use the belt pack yet but my first impressions are that it is fit for purpose but am concerned that the seal itself appears to be rather flimsy compared to the rest of the product which is quite robust. Not tried it yet - but it looks good. Have not tested products yet, but look good!